We know how easy it is to rely on a remote control to open and close your garage door. Most garage doors these days involve a remote control. It can be a problem, though, if the door opener malfunctions, keeping you from entering your garage – and sometimes your home. 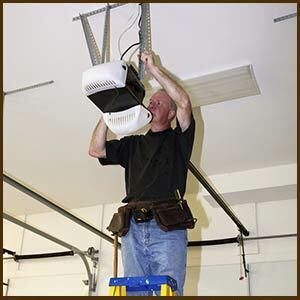 The technicians at Express Garage Doors are experienced in working with all garage door openers. Rely on us for all your garage door opener needs. If you need to replace an opener or if you need repair, we are ready to help. We have nearly every part in stock, and we are trained to service just about any system on the market. If you would like to install a new automatic door opener and remote control system, we can do that too. A lot of homeowners prefer the ease of entering their home through their garage and appreciate the convenience of opening a door by remote control. 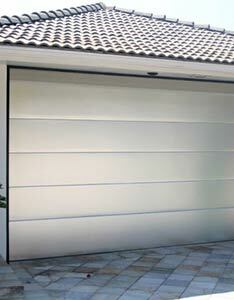 Express Garage Doors can provide and a number of options, to fit any need and price point. Some standard models most people have seen, but there are alternatives that provide higher security or other benefits. Our expert consultants will go over all the choices and help you decide which system is best for you. Please let us know if you would like a free estimate for a new garage door opener. Our experts will come to your place wherever you are in San Diego, CA and explain what’s available, then schedule an appointment to install the system you choose. When it is completely installed, they will test it out and make sure you are confident in how it works.